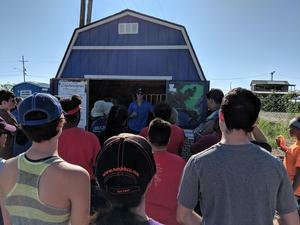 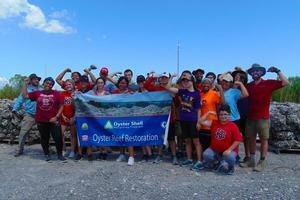 On Sunday September 16th, twenty-two students with the BCHS Conservation Leadership Corps. volunteered their time to recycle almost 8 tons of oyster shell in Buras with the Coalition to Restore Coastal Louisiana (CRCL). 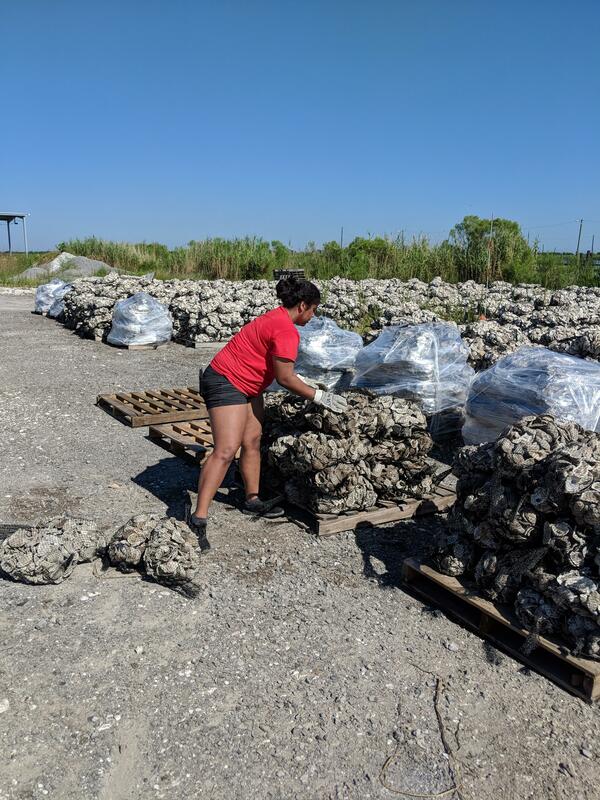 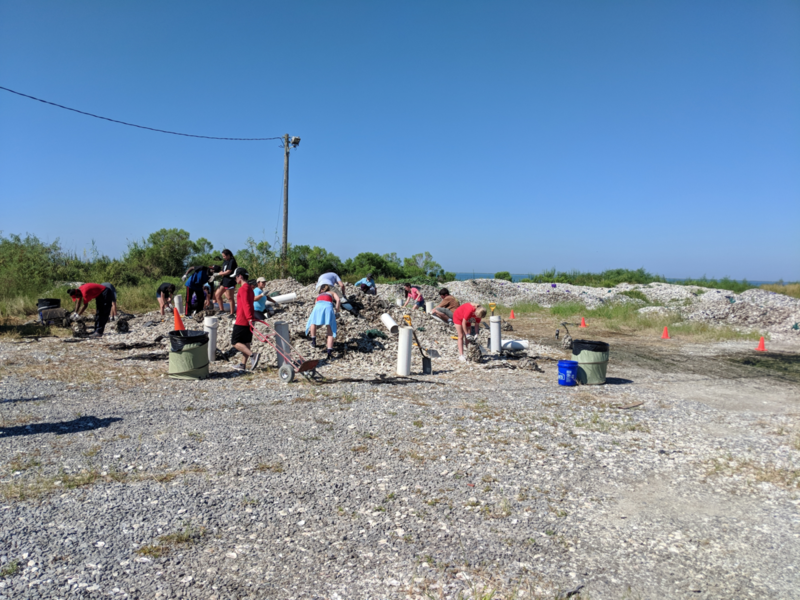 They shoveled, raked, and hand-loaded the oyster shells recycled from local New Orleans restaurants into individual bags and loaded them onto pallets to be placed at a reef-building project CRCL is coordinating. 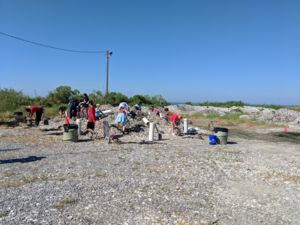 The re-built reef provides protection from coastal erosion by reducing wave impact energy and provides substrate for oyster larvae to attach to and start growing into new living reef.